Home to the world’s largest religious monument, tourists from around the globe visit Siem Reap to explore the awe inspiring Angkor Wat. 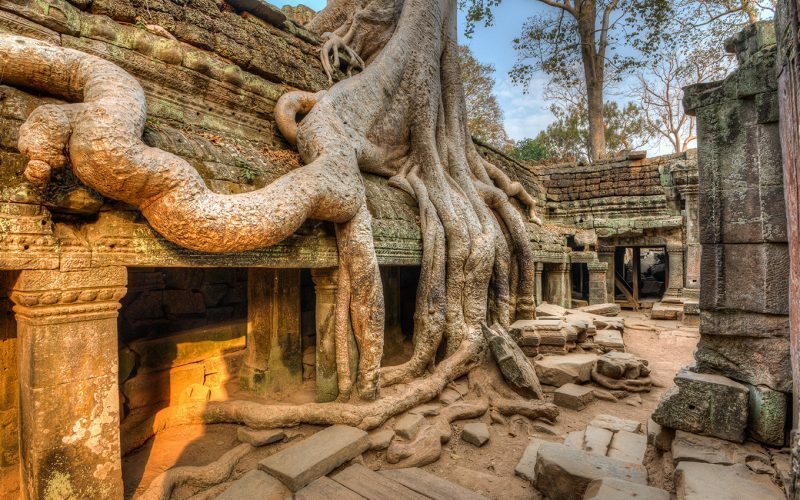 In addition to the magnificent temples, Siem Reap has much to offer visitors including an array of fantastic restaurants and cultural experiences from the amazing Phare Circus to a visit to the silk farm, traditional Apsara dancing or even a bee tour. 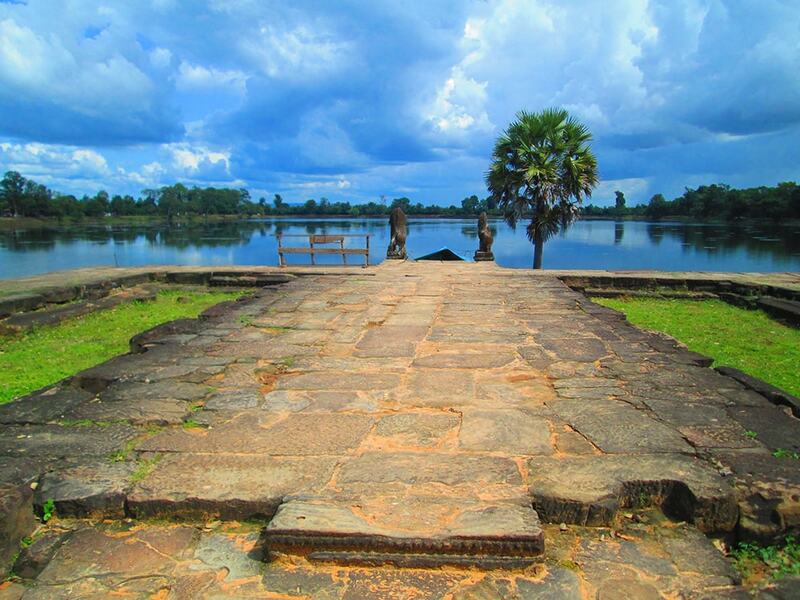 Probably the easiest but most expensive option is to catch a flight to Siem Reap Angkor International Airport. 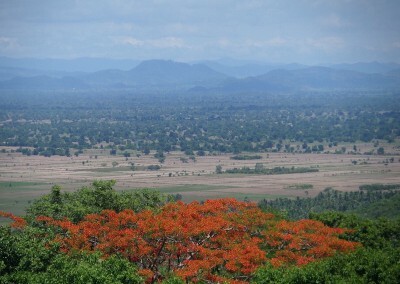 The airport isn’t too far from the main town – it takes approximately 30 minutes by tuk tuk. If you have already booked your accommodation check to see if free airport transfers are available. 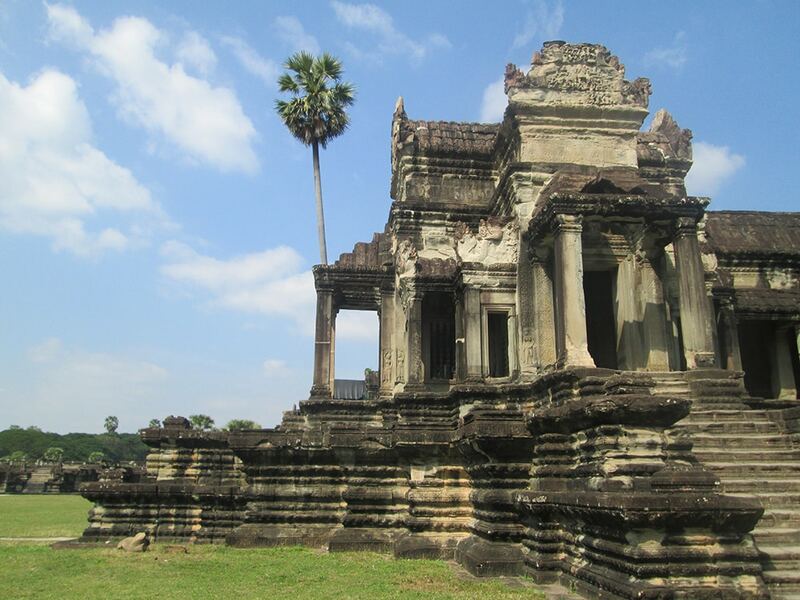 One of the cheapest and most popular ways to travel to Siem Reap is by bus from Bangkok. With prices starting from only 200thb it is sometimes referred to as the ‘Scambodia Bus’ because of attempts to extort increased visa fees when you reach Cambodia. As long as you’re not duped into paying any more for your visa (find out more about the scam here) this is an incredibly cost effective way to reach Siem Reap from Bangkok. 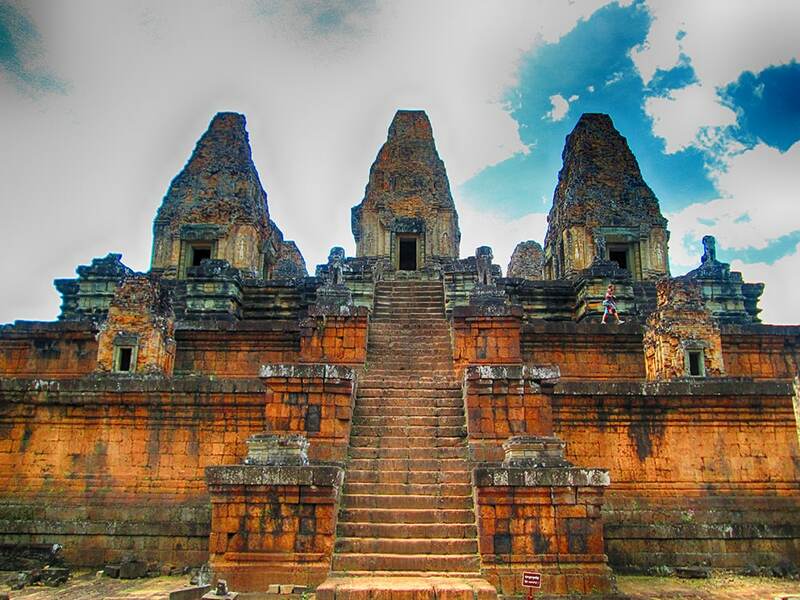 You can also catch a train from Bangkok to the Thai border town of Aranyaprathet and make your own way from here to the Cambodian border where you will be able to arrange onward bus travel to Siem Reap. It will cost a more than the bus mentioned above but you won’t have to argue about visas. If you’re travelling to Siem Reap from elsewhere in Cambodia then you should be able to find numerous bus companies travelling here. 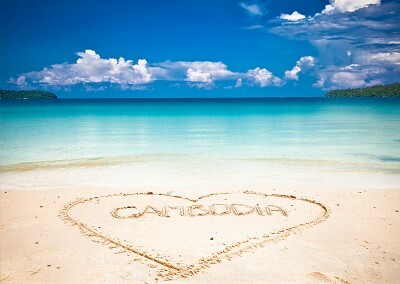 It takes around 6 hours from Phnom Penh and 10 – 12 hours from Sihanoukville. A tuk tuk anywhere within the main town should never cost more than $2. There are plenty available and many have gone to some lengths to stand in a sort of ‘pimp my tuk tuk’ competition. You’ll spot everything from batmobiles to supertuks. 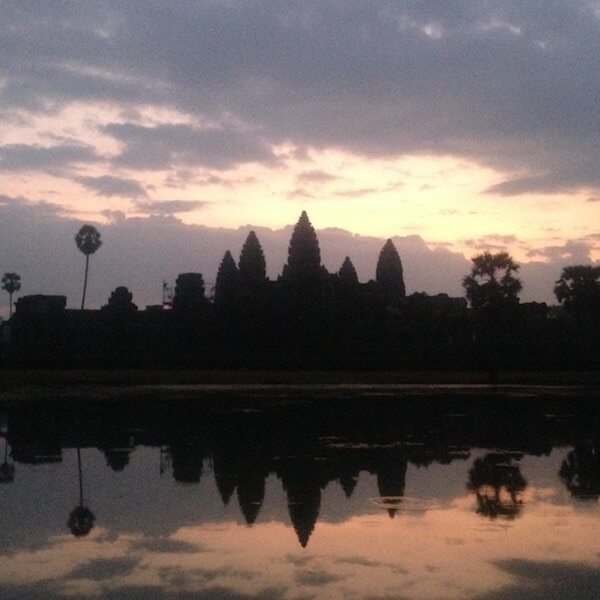 Taking a tuk tuk is popular way to explore Angkor and the majority of drivers have maps and knowledge of the temples. Hire a driver for the day to take you around the main circuit for around $15. Visiting temples further out will cost a little more. 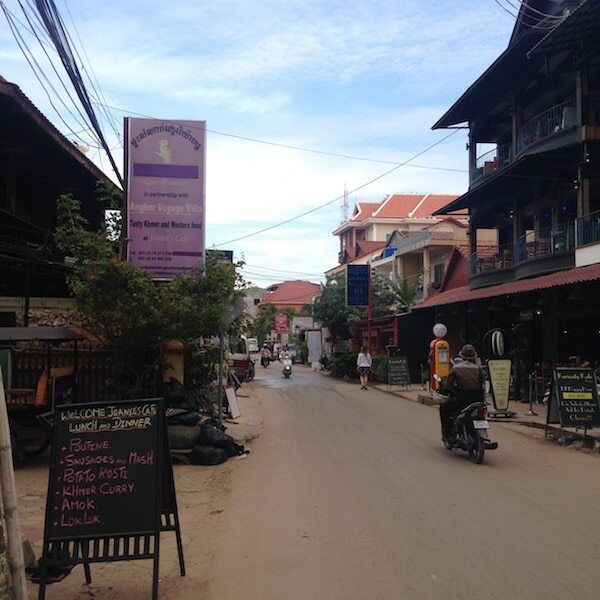 Siem Reap is fairly compact and flat making it easy to traverse on foot. If you are staying in the centre of the town then generally you’re never far away from most bars, restaurants and café’s. Just watch out for traffic and some of the street kids – they can get annoyed when you refuse to buy anything for them. 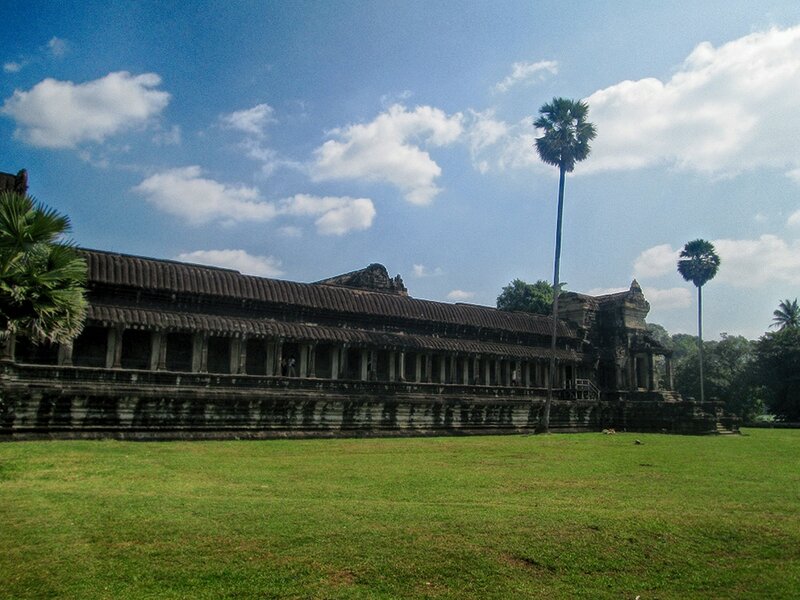 Due to the heat, humidity and distance between temples, we wouldn’t advise trying to explore Angkor by foot. Cycling is a popular way to get around Siem Reap – most of the major sights are within reach by pedal power and the terrain is relatively flat meaning getting around by bike is fairly easy. Many hotels offer rental services and some include free use of bicycles as part of their room rate. If your hotel doesn’t have bikes available, don’t worry as most are never far from a rental shop. 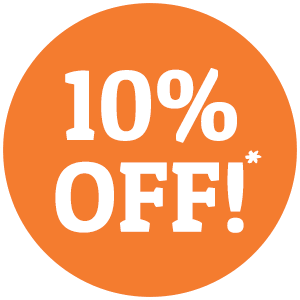 Daily rates start at $1 for a basic bike but you should be able to find a mountain bike for around $3. The White Bicycles is a bicycle rental service for charity. Their bikes are available to rent for $2 a day at selected places around Siem Reap. Find out more on The White Bicycles website. A cheaper alternative to tuk tuks and can be a great option for solo travellers (although they will usually carry two passengers). A Motorcycle taxi will take you around the main Angkor circuit for around $10. As a general rule they will cost about half the price of a tuk tuk. It has been illegal for a foreign national to rent a motorbike in Siem Reap since 2002 much to the annoyance of tourism operators. 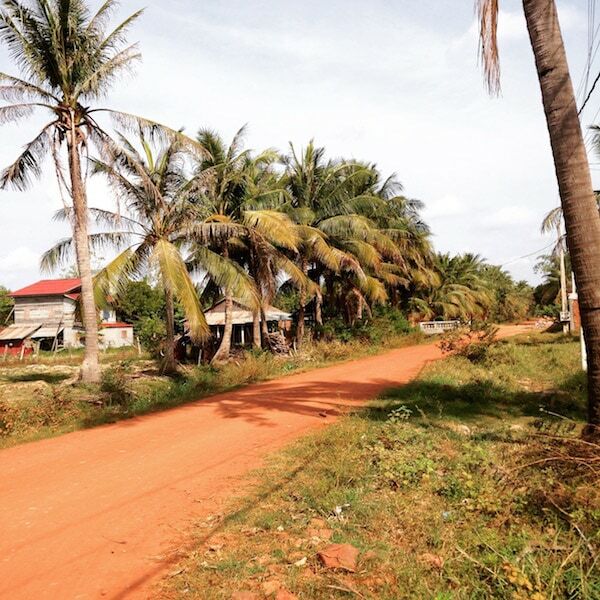 However it is possible to rent motorcycles from some places in Siem Reap… Moto Go set up in 2014 make it quite obvious on their website that they rent bikes to tourists. The official police stance is that it is still illegal so if you want to be on the safe side but still want the benefits of a motorcycle have a look at the electric bikes available to rent from Green E Bike for $10 a day. 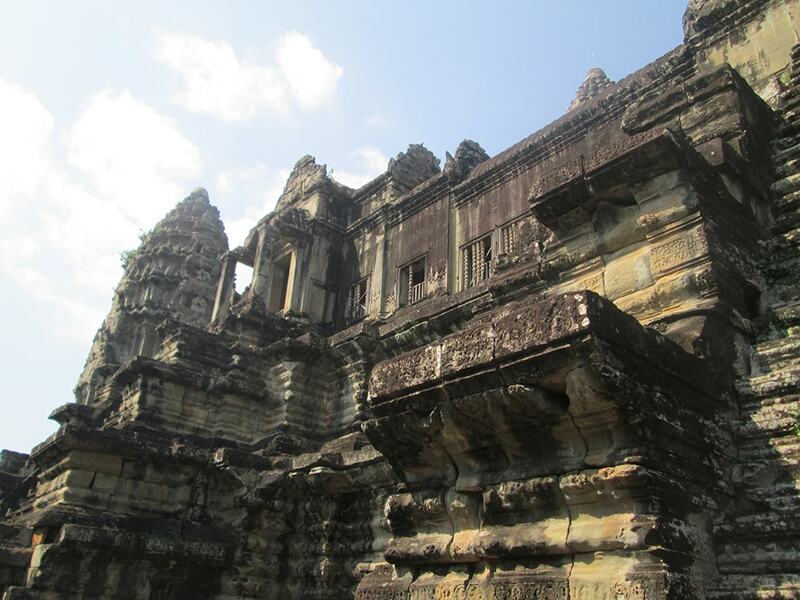 Walk – you would have to be pretty fit to explore Angkor on foot as many of the temples – particularly on the outer circuit – are kilometres apart. 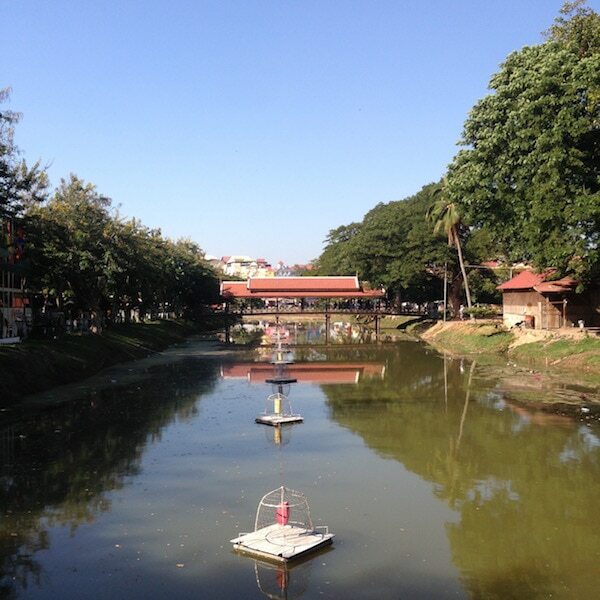 After exploring the temples themselves the breeze gained from a tuk tuk or bicycle journey is much welcomed! 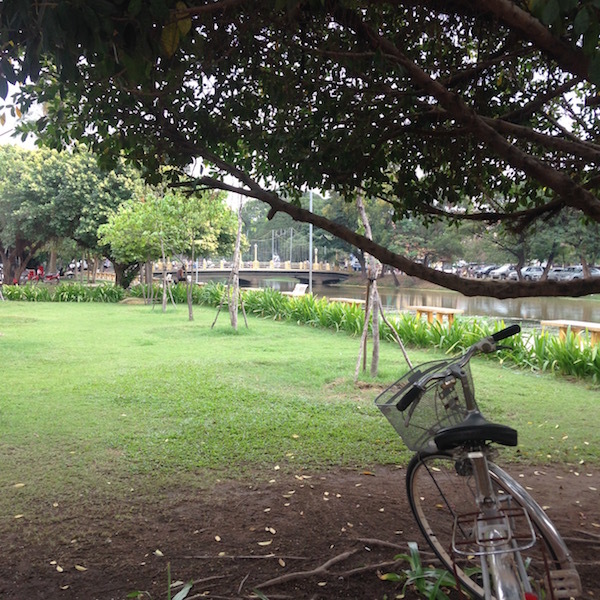 Bike – less demanding than walking, cycling is another option for exploring Angkor with bicycles available to rent from many places in Siem Reap. The best time to cycle around would be in the cooler months of November and January as temperatures can reach upwards of 34 degrees in March and April. There are plenty of vendors selling drinks throughout Angkor if you don’t want to carry heaps of water with you. 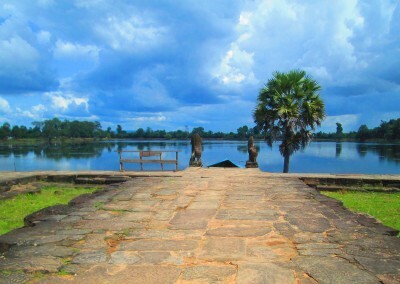 Tuk Tuk or Moto – the easiest way to explore Angkor is by tuk tuk or if you’re a solo traveller then a motorbike taxi can be a cheaper option. 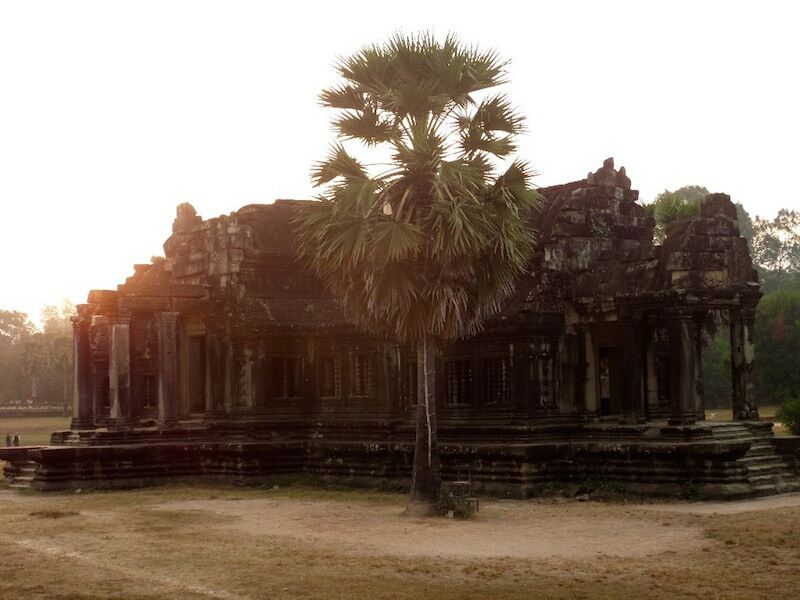 Almost all tuk tuk drivers in Siem Reap have maps so you can show them which temples you wish to visit – they know the complex well and often provide some good route suggestions, helping you see as much as possible. 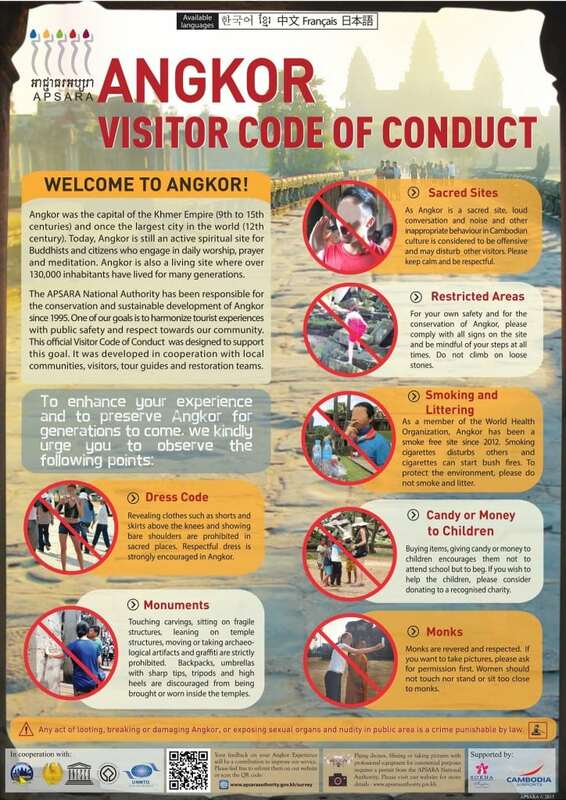 Be a responsible visitor to Angkor by following the APSARA code of conduct. The Phare Circus is easily the best ‘non temple’ attraction in Siem Reap with highly skilled artists putting on an incredible show every evening at 20.00.n January 2016 after buying their own land, the circus moved to a new, permanent performance location. The circus can now be found at the intersection of the Ring Road and Sok San Road behind Happy Ranch Horse Farm. Almost every driver will know where the circus is located so if in doubt get a tuk tuk (around $2 from the centre of town). Phare blends “contortion, juggling, acrobatics, balancing and aerial arts with theatre and modern dance forms” – Phare Circus. Not only do you get to see an amazing show, but when you attend the Phare Circus you are also contributing to a fantastic cause…. Phare Performing Social Enterprise has three complimentary social missions: Provide gainful employment to Cambodian youth from difficult social and economic backgrounds, financially sustain our parent organization Phare Ponleu Selpak NGO school thereby contributing to the rebirth of Cambodian modern art. 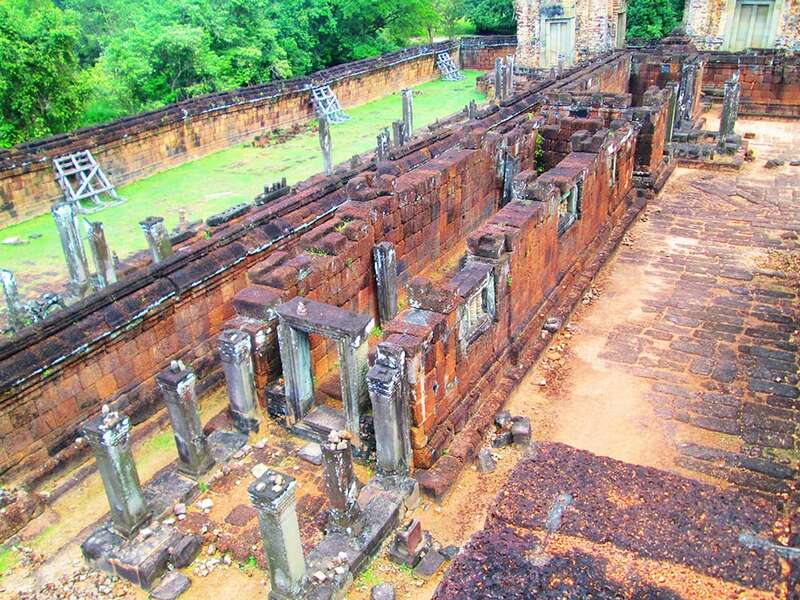 You can buy tickets online or purchase them in a few locations in Siem Reap. Tickets can be bought on the night but buy in advance to avoid disappointment. 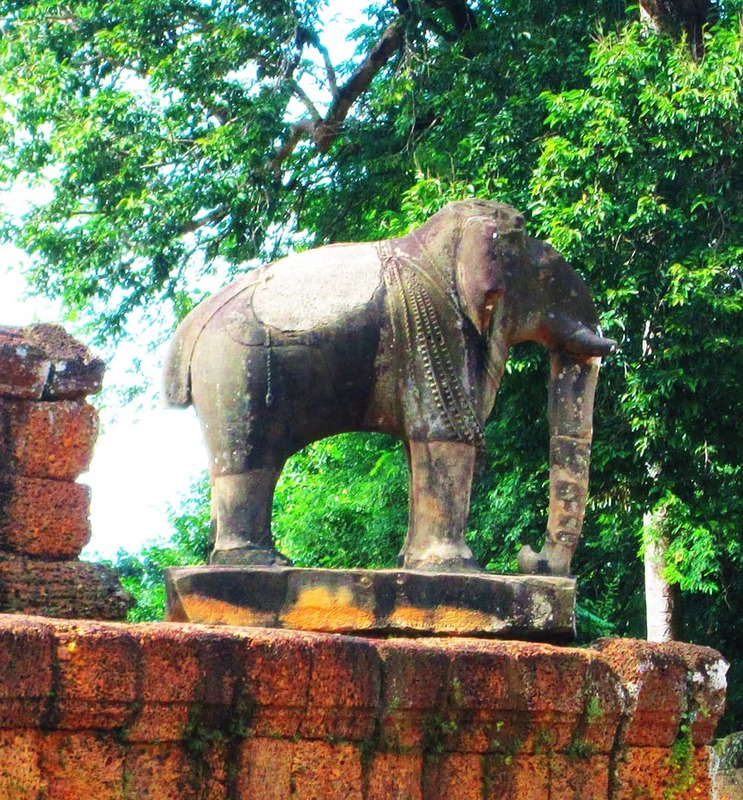 ACCB is one of the few animal sanctuaries located throughout Cambodia. Their aim is to contribute to the conservation of wildlife and biodiversity in the country, and raise awareness about the importance of the issues that threaten Cambodia’s declining wildlife population. Located about 1 hour out of Siem Reap you can visit the sanctuary which is home to numerous species of rescued animals and birds, including a number of Gibbons who have been taken from poachers. Each day at 9am and 1pm they run a 1.5 hour tour through the sanctuary for a minimum donation of $3 USD. It is well worth the visit, not only to help with the running costs of the sanctuary, but to see the beautiful creatures that reside hear and learn about the conservation efforts in Cambodia. A relatively new ‘thing to do’ in Siem Reap, Bees Unlimited Bee Tours offer the chance to meet bee keeping villagers, explore the unique biodiversity of the rafter beekeeping community, with its unique orchids, fascinating pitcher plants, and more. It’s a tour that is off the typical tourist track however is becoming increasingly popular so make sure you book early as tours can be booked up two months in advance. Bees Unlimited provide an income-generating alternative to killing bees through sustainable honey-harvesting and honey and wax processing. 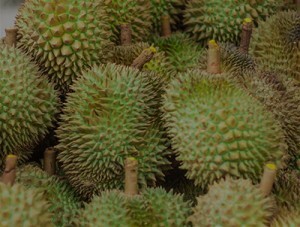 This sustainable form of harvesting can be replicated at little or no cost the individuals’ involved encouraging participation whilst protecting Asian honeybees. 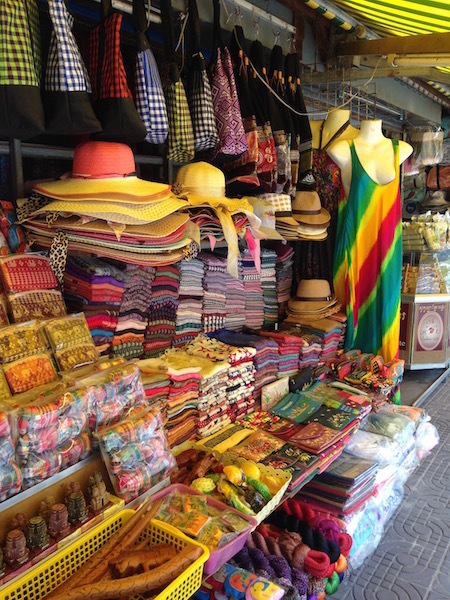 Take the free guided tour at the Angkor Silk farm to learn about the production of silk fabrics and accessories in a beautiful 8 hectare setting. Guides will give you information on mulberry tree cultivation, silkworm farming, cocoon unwinding, dyeing techniques and silk weaving. Of course as the tour is free, you are encouraged to visit the large showroom at the farm where you can buy silk products made in the workshops you visit on the tour. The Angkor silk farm is located 20mins from downtown Siem Reap and a free shuttle bus is available every day departing from Artisans Angkor main showroom at 9.30 and 1.30 – you can book a place in the shop. The farm in open daily from 8am to 5pm and advanced booking isn’t necessary (unless for large groups). The Beatocello Concert runs every Saturday night at 7:15pm sharp. The concert is performed by the wonderful cellist Dr Beat Richner, the man behind the construction of five children’s hospitals throughout Cambodia, including the Angkor Hospital for Children located in SiemReap. Dr Richner began the concerts as a way to raise much needed revenue to run the hospitals that treat over 300 children per day, all free of charge. Much of the revenue to keep the hospitals running comes from private donations and for a donation of your choice you can enjoy the sweet sounds of the Cello, and a little light entertainment, every Saturday night at the Jayavaraman VII Children’s Hospital Concert Hall in Siem Reap. From kite making, to fear factor challenges, photography excursions to cookery classes, Backstreet Academy offers something for everyone with lots of guides providing a variety of activities to do in Siem Reap. Browse the various activities and tours and book on the Backstreet website. If you want to learn how to cook up some Khmer cuisine, Siem Reap has a huge choice of cookery classes available. Look around as many vary in length and price to find one that suites your budget and time frame. Many of the restaurants offer cooking classes including Le Tigre de Papier found on Pub Street. Get out of the city with Beyond Unique Cooking Class which takes place in a village location 10 minutes from town. The class also involves a visit to a local family and information on traditional cooking customs and beliefs. 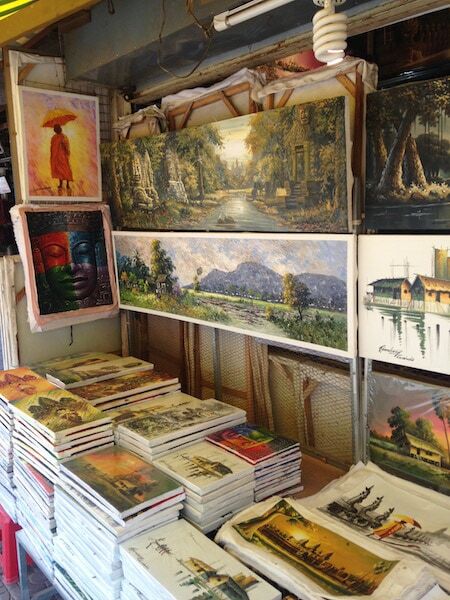 The Khmer Kids Art Gallery offers art classes and workshops to tourists wanting to get a little creative and also give back to a cause. The gallery is managed by a social enterprise to help raise funds for the Small Arts School, empowering young artists to be able to make a living through the arts. You can participate in a 90 minute painting session for $15, or try silk scarf painting for $20. Located inside Angkor Archaeological Park, Flight of the Gibbon is Cambodia’s only zip line canopy tour. At $109 per person it’s a little expensive compared to other activities but includes one meal, bottled water and return transport within Siem Reap as well as providing you with state of the art safety equipment. It’s also an unforgettable experience! The course includes 10 zip lines, 4 handing bridges, 50 metre rappel descent, 21 platform stations and each group (of up to 9) has two sky ranger guides. 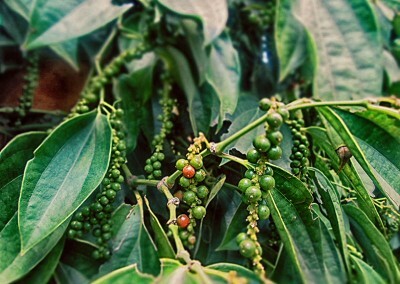 Find out more about Flight of the Gibbon, including the companies Gibbon conservation and reforestation projects, on our blog: Jungle Ziplining in Thailand and Cambodia. Apsara is a form of traditional Khmer dance which usually conveys a story or message. Apsara performances can be found all over Siem Reap with dinner time shows now very popular. Most venues offer buffets or set menus combined with a one hour dance performance. Such performances usually begin a 18.00 or 19.00 and usually cost between $10 – $35 including dinner and admission. Some places won’t charge admission for the performance but you are expected to order food. If you have a little more to spend then check out the Smile of Angkor performance which showcases apsara dance and traditional Khmer culture along side multimedia large screens to tell the story of the Angkor civilisation. There are many places in Siem Reap that offer pottery classes. Whether you are just looking to try it for fun or you want to take a handmade souvenir back home, you can choose from a number of centres and spend less than half a day learning the art of pottery. Paruth’s Homestay and Pottery Center offer ‘just for fun’ classes from $7, or $20 if you want to take your piece home. Alternatively the Khmer Ceramics Fine Arts Centre also offer classes for $20 which includes 1 piece of pottery and a friendly pottery diploma. The quality of food in Siem Reap is fantastic with lots of great restaurants to choose from offering a variety of international and Khmer cuisine. 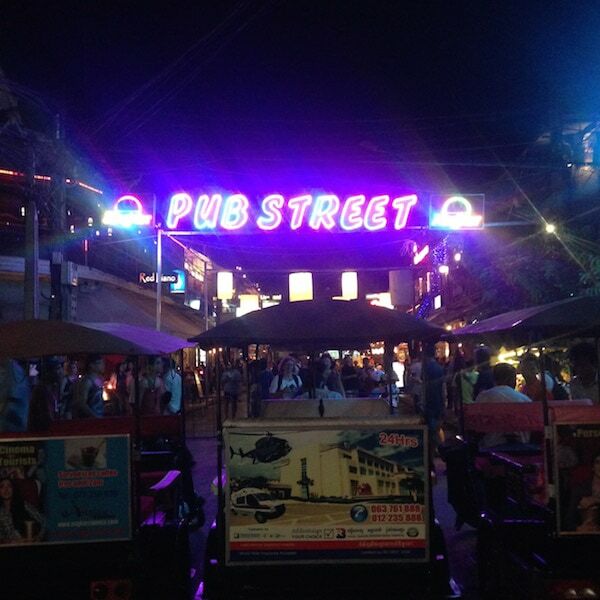 Pub Street is lined with restaurants offering a huge variety of dishes from around the world. If you’re craving a wood fired pizza or a great burger this is where you’ll find it. Sok San Road is quieter than Pub Street but is home to some unique bars and is a great place to go for a drink and escape the crowds. Here you will find the infamous X bar featuring Siem Reaps only rooftop half pipe. If you have a larger budget check out the Kings Road village where you will find some excellent, although pricier restaurants in tranquil surroundings. Located on Achar Sva road, across the old market bridge alongside the river, it is also home to the only Hard Rock Cafe in Cambodia. Siem Reap also has some wonderful not for profit training restaurants that support great causes and dish up fantastic food. These include: Haven (often need to book in advance), Marum which is run by the Tree Alliance, Blossom Cafe Training Centre, Genevieves Restaurant, Sala Bai Training Restaurant, Bayon Pastries, Sister Srey Cafe, Joe-To-Go Cafe and Common Grounds Cafe. 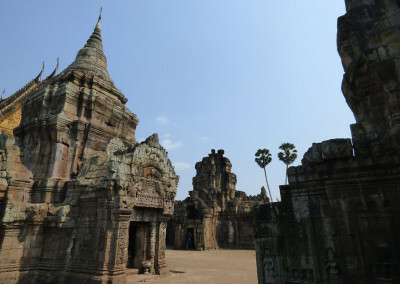 Accommodation is plentiful in Siem Reap however rooms and dorms can get booked up fast in the high season as people flock to the city to explore the ancient temples of Angkor. 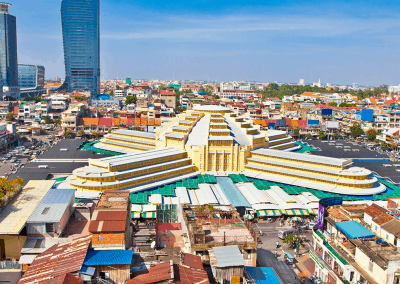 As Siem Reap has become a major tourist destination, prices can be a little higher than elsewhere in Cambodia, but you have an ever expanding range of accommodation options to choose from. If you’re on a super tight budget there are plenty of hostels available in Siem Reap but private rooms can also be found for reasonable prices – from around $5 for a fan room and starting at $12 for air con. If you want to stay somewhere a little more luxurious with a pool, prices start at around $25 a night. 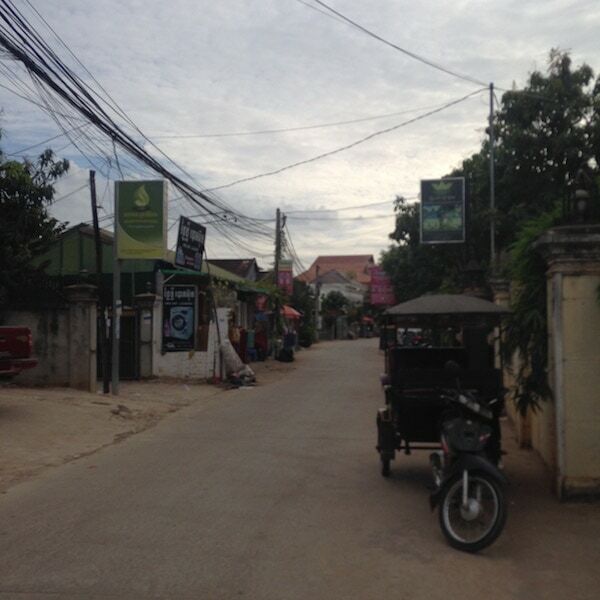 There are new hotels, hostels and guest houses popping up in Siem Reap all the time. Use review sites to find potential places and then check it out yourself before you book if you want to be assured it meets your needs. 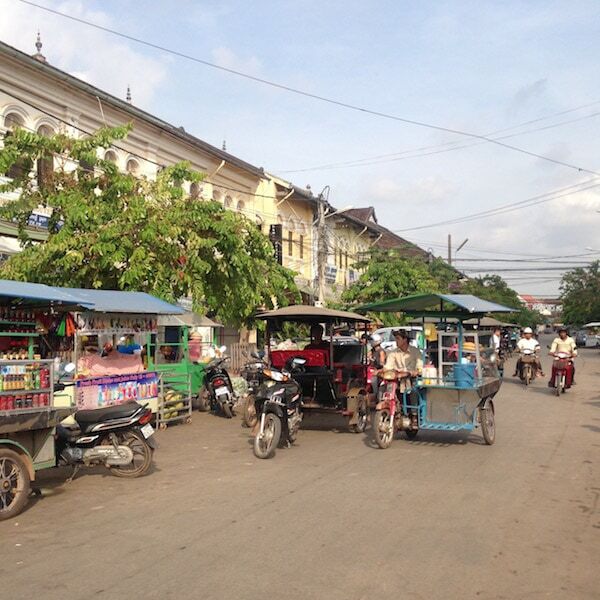 Formerly the backpacker central area of Siem Reap, Wat Bo Road now attracts a broader mix of tourists. You’ll still find lots of backpacker accommodation here as well as some ‘flashpacker’ and luxury options. A 10 to 20 minute walk away from the centre of town, Wat Bo is the perfect place for those who want to be close to the action but enjoy some peace and quiet too. 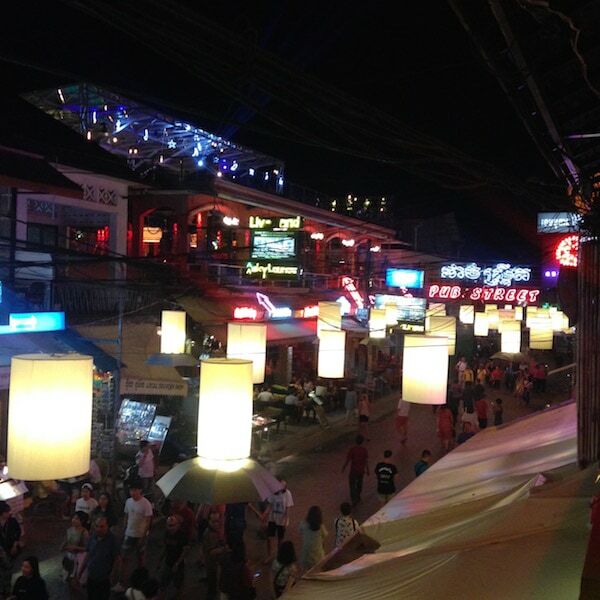 A lively backpacker scene is also emerging in West Central Siem Reap on and around Sok San Road. For those of you looking for an extra special experience head to the French Quarter which is home to some of Siem Reaps most iconic hotels including Raffles Grand Hotel d’Angkor built in 1929. If you prefer a countryside setting Siem Reap also has some great accommodation options further out of town that give more of a taste of ‘real’ Cambodia. If you need emergency care then the Royal Angkor International Hospital provides international standard medical services with the closest thing to an A&E department and 24 hour care. If you need a pharmacy then find one of the U Care Pharmacies located near the Old Market (at the end of pub street) or at the Lucky Mall. If you need police assistance a tourist police station is located opposite the main entrance to the Angkor Archaeological Park. 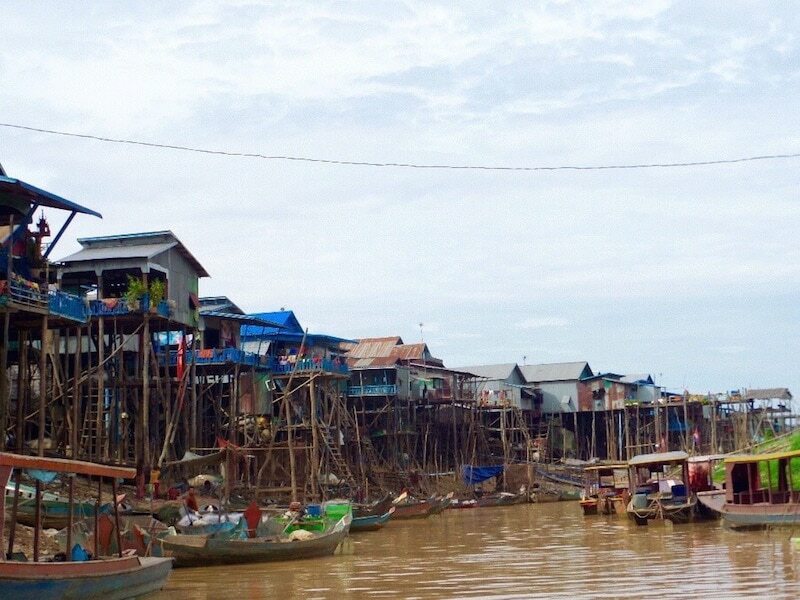 Be aware of scams in Siem Reap, as it is so popular with tourists you are more likely to come across scams here than anywhere else in Cambodia. You can read about some of the more common ones here.